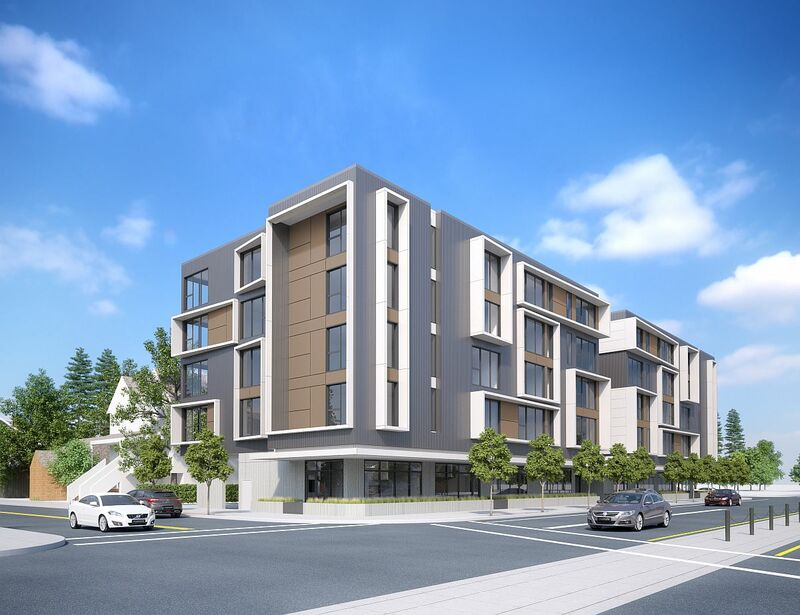 The Design Commission has approved a new affordable housing development at NW 14th and Raleigh, designed by Salazar Architect and LRS Architects. 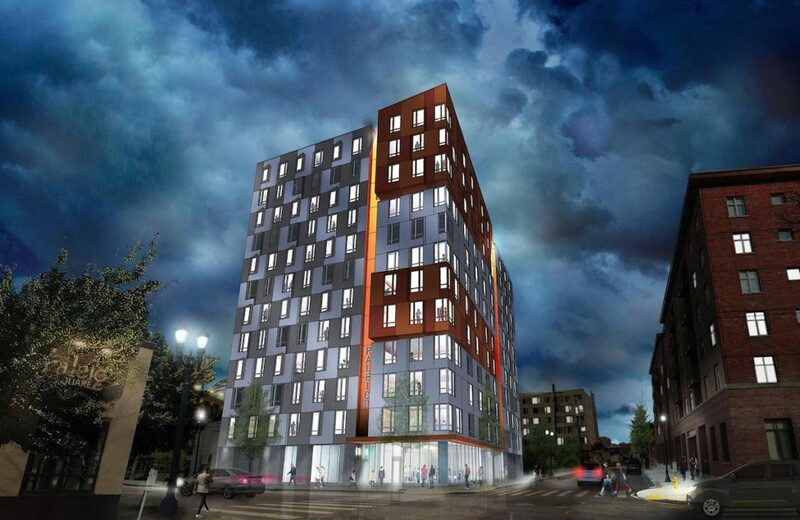 The 12 story building, being developed by Innovative Housing, would include 93 units. 40 of the units will be reserved for formerly homeless individuals and families, while the remaining 53 units will be available to those earning between 30 and 60% of Portland’s Median Family Income. The building will also include 661 sq ft of ground floor retail space. 15 vehicular parking spaces are proposed at the ground level. 155 short term bicycle spaces will be provided. Salazar Architects and LRS Architects have gone before the Design Commission for a second time to receive Design Advice on a new affordable housing development at NW 14th and Raleigh. 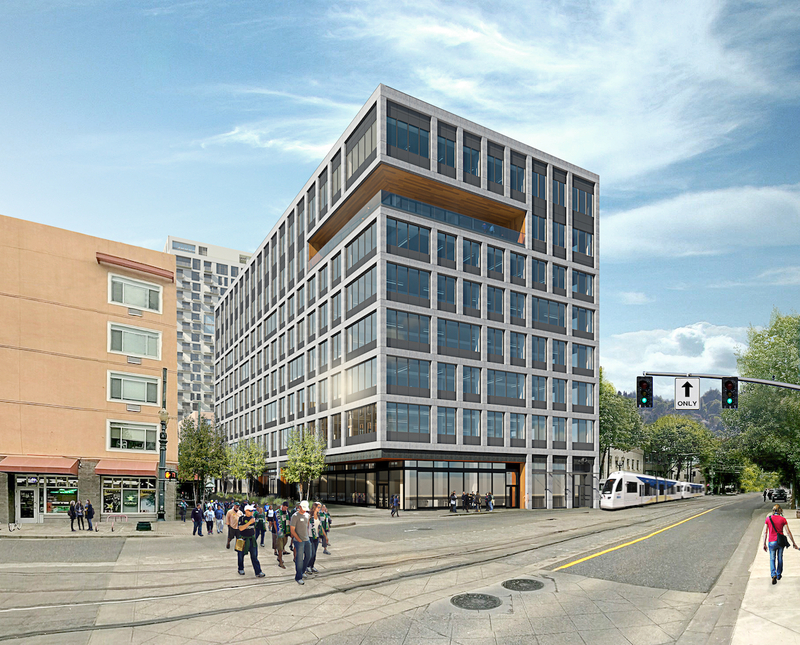 The 12 story building, being developed by Innovative Housing, would include 93 units. 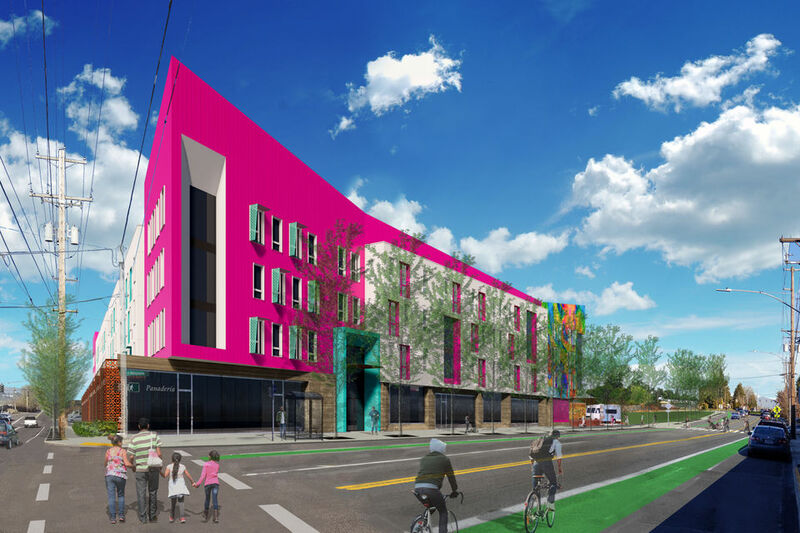 40 of the units will be reserved for formerly homeless individuals and families, while the remaining 53 units will be available to those earning between 30 and 60% of Portland’s Median Family Income. 16 vehicular parking spaces are proposed at the ground level. 161 short term bicycle spaces will be provided. 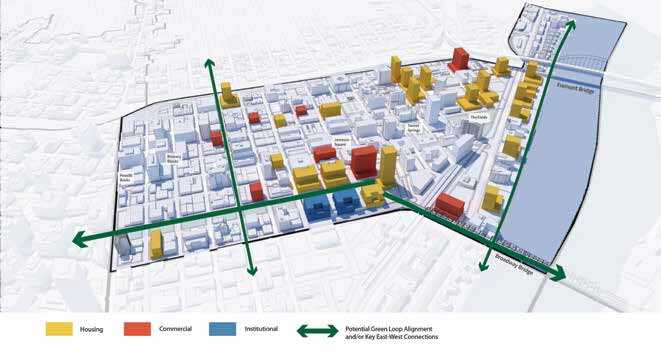 Salazar Architects and LRS Architects have gone before the Design Commission to receive advice on a new affordable housing development at NW 14th and Raleigh. 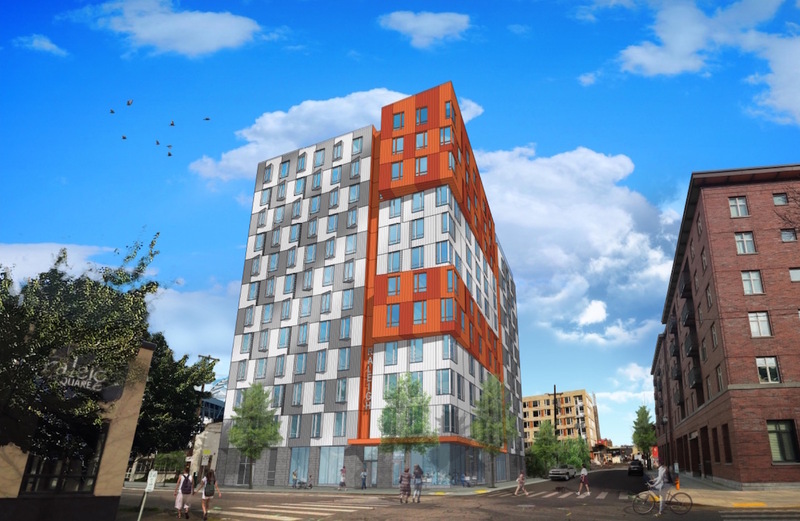 The 12 story building, being developed by Innovative Housing, would include 93 units. 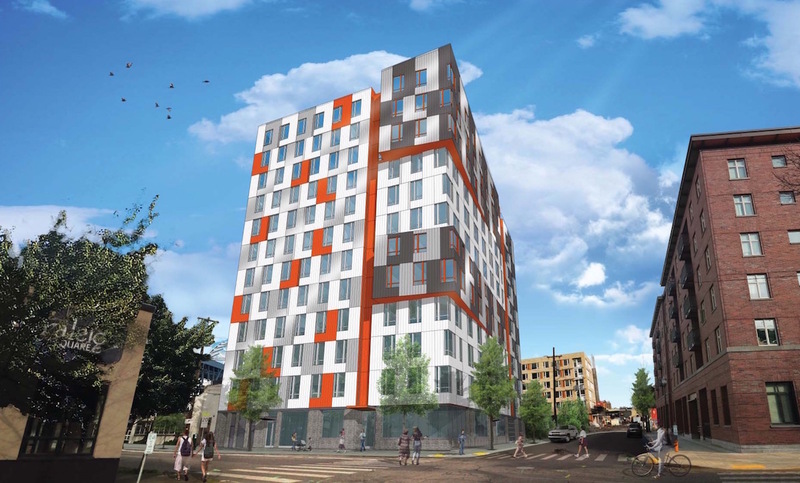 40 of the units will be reserved for formerly homeless individuals and families, while the remaining 53 units will be available to those earning between 30 and 60% of Portland’s Median Family Income. 16 vehicular parking spaces are proposed at the ground level. 161 short term bicycle spaces will be provided.